These are lyrics by Weezer that we think are kind of funny. 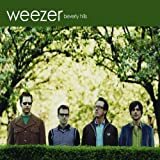 Weezer's, "Undone - The Sweater Song"
lying on the floor, I've come undone! ....Or you could just hack it to bits. That has a lot less directions.